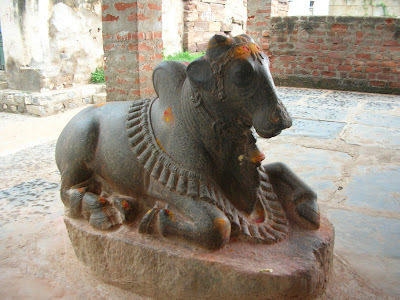 Lord Shiva's mount. 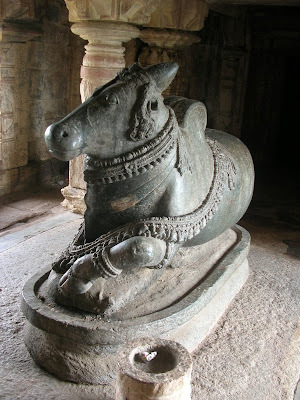 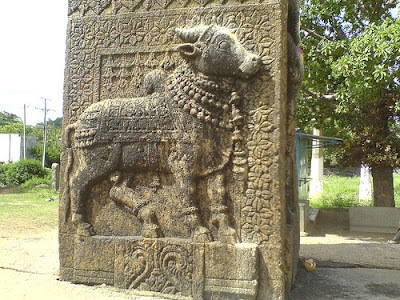 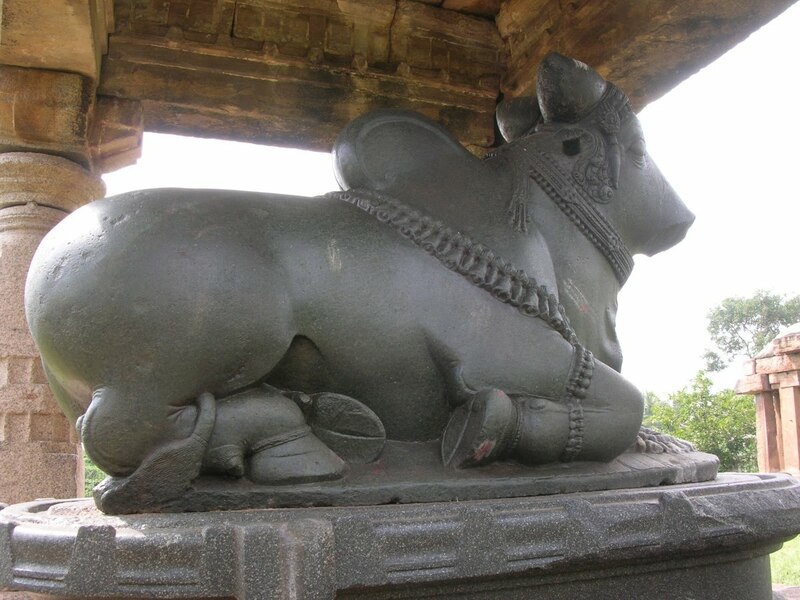 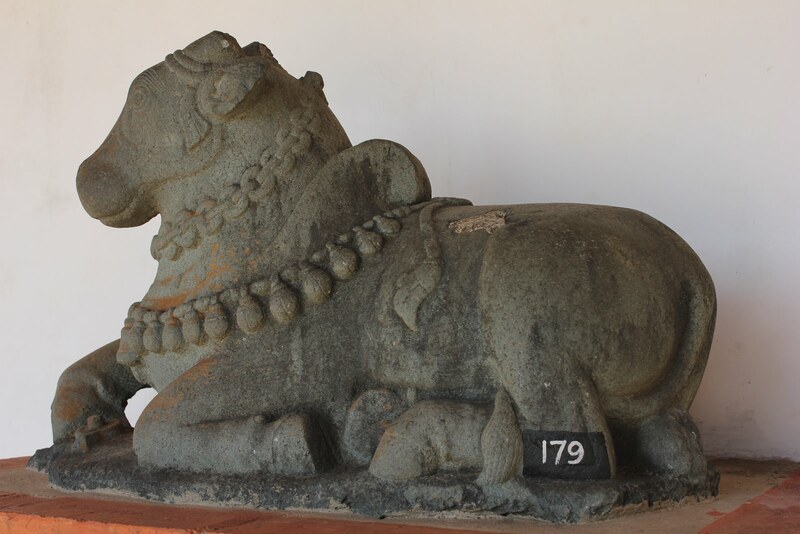 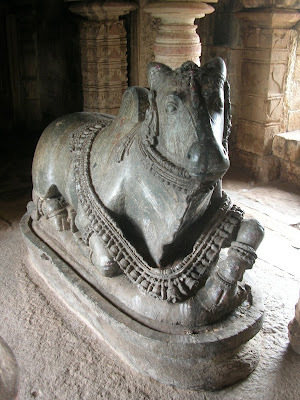 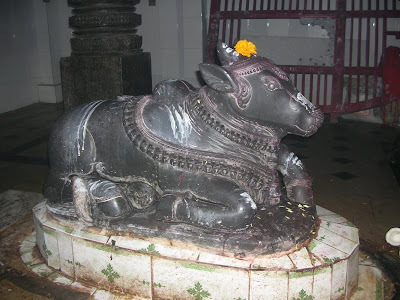 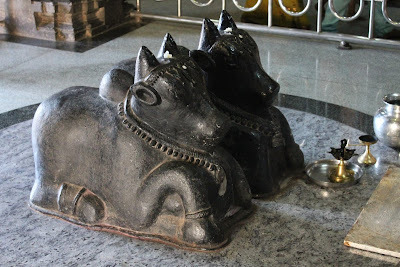 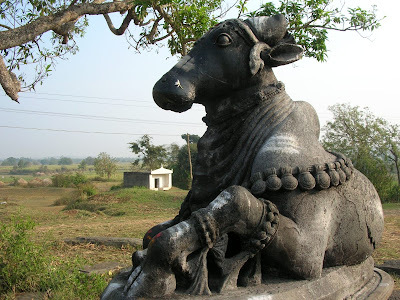 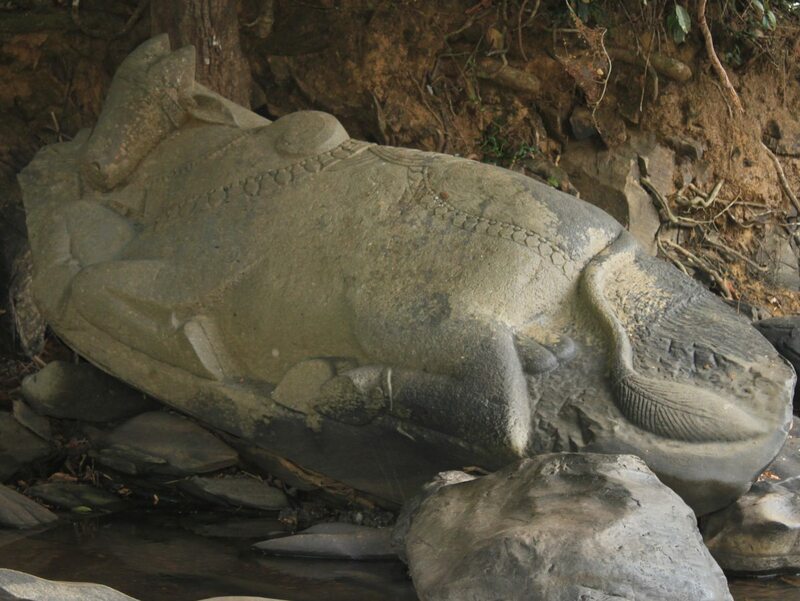 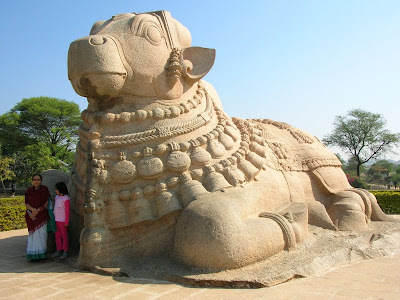 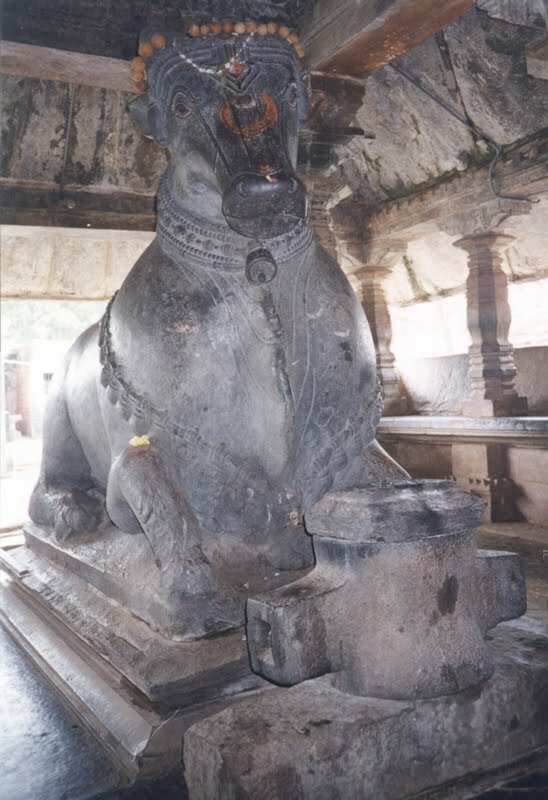 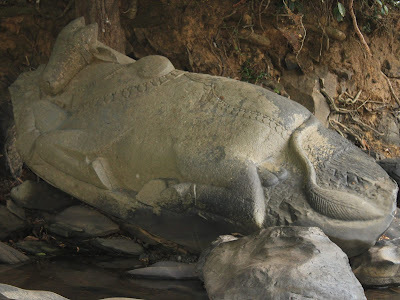 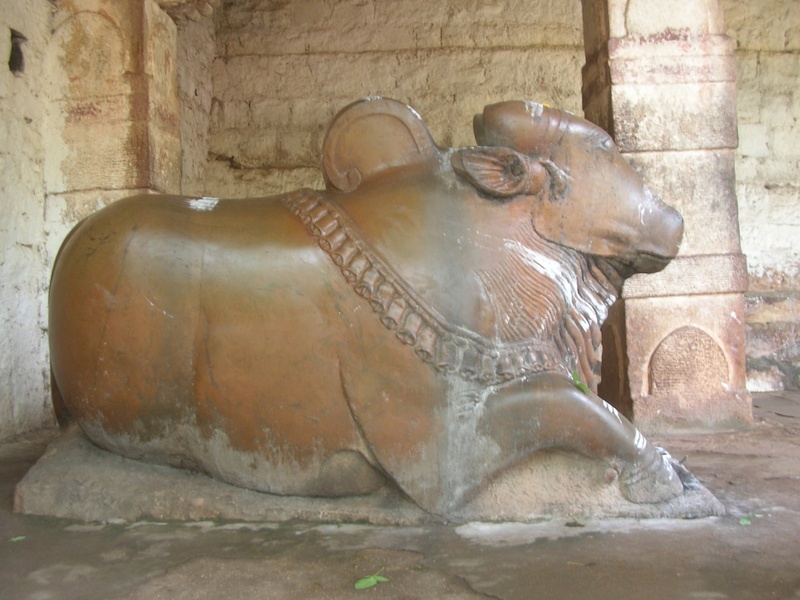 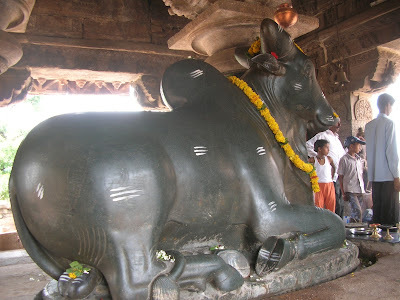 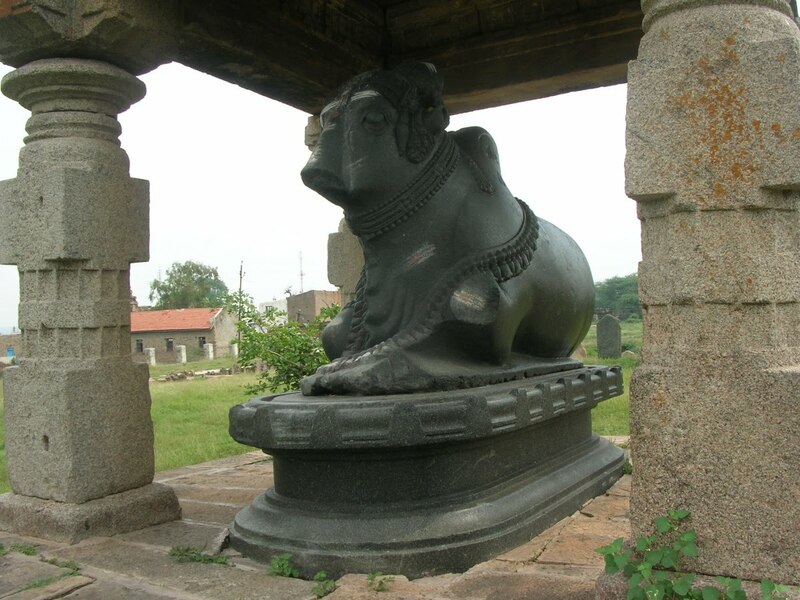 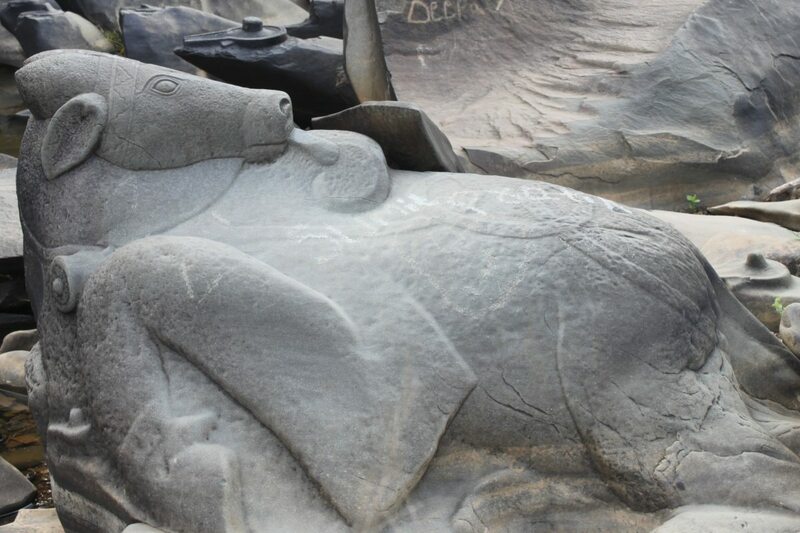 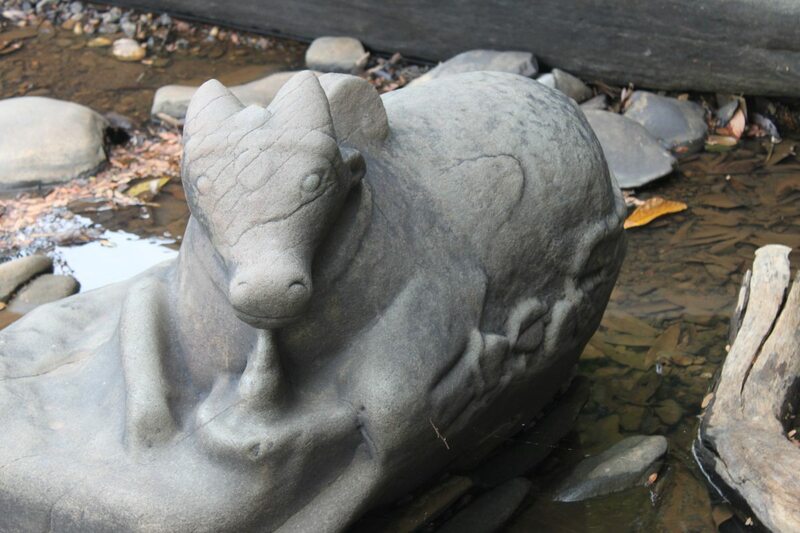 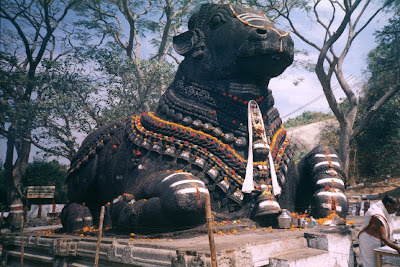 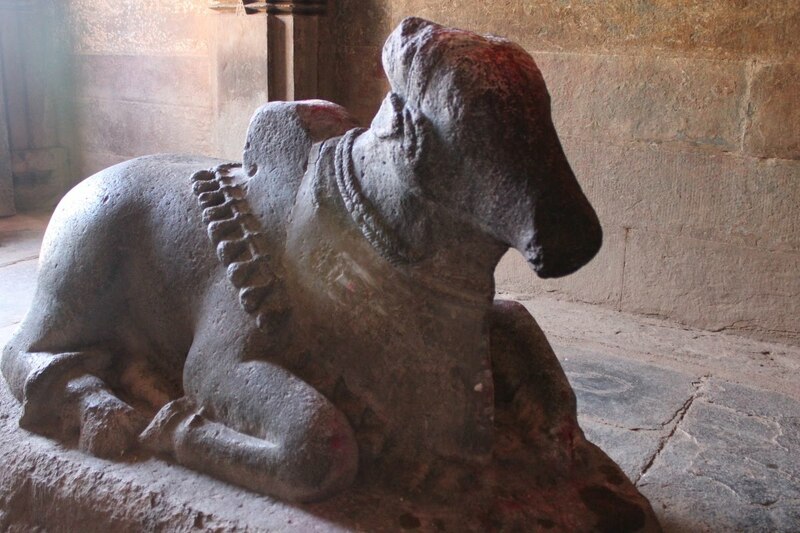 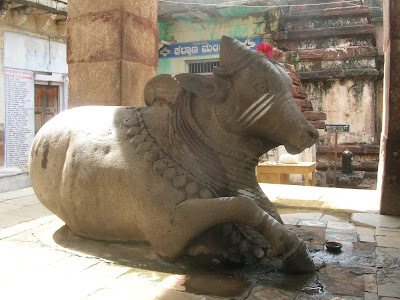 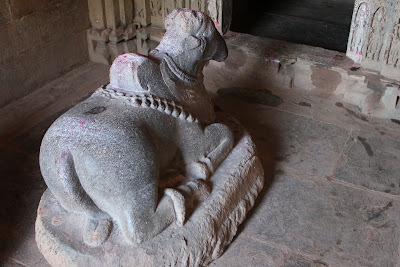 People of North Karnataka call it Basavanna while it's known as Nandi to most other people. To my eyes, Basavannas seem to express various emotions, innocent, intelligent, mischievous, serious and so on. 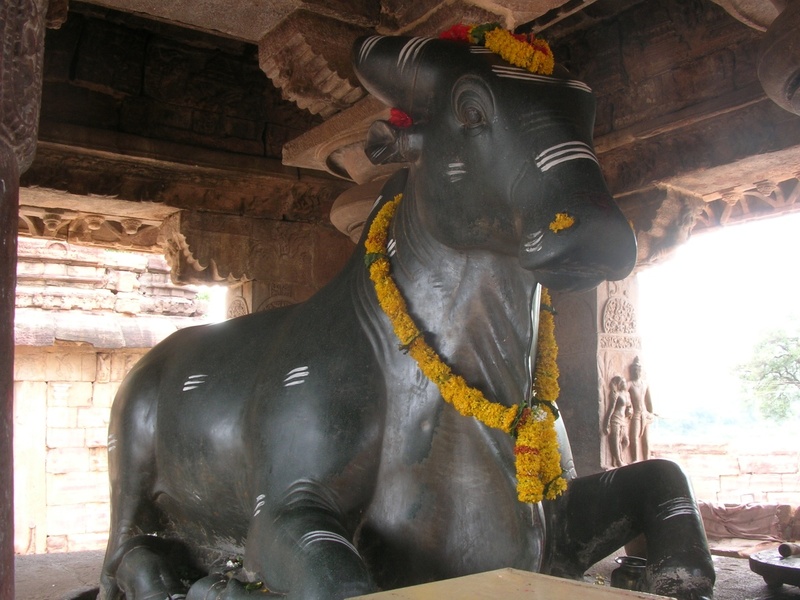 Here are some of the Basavanna from Karnataka and Andhra Pradesh. Wow!! nice to see this post. Its said when one's wishes are whispered in ear of Basavana, it will reach Lord Shiva or Nandi would convey it to his master, it may look funny, but for an theist mind it gives great relief as if someone is there to take care of the wishes, as a kid i had done it, now i just smile about it remembering those days.